No escape: When the notorious prison escapee arrived in Albany, Joe Bianchino got the story. Richard Matt was already dead. 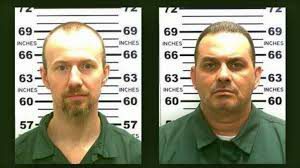 Now the hunt for Matt’s accomplice, David Sweat, continued to rivet the nation three weeks after the two murderers escaped from Clinton Correctional Facility in New York’s North Country. 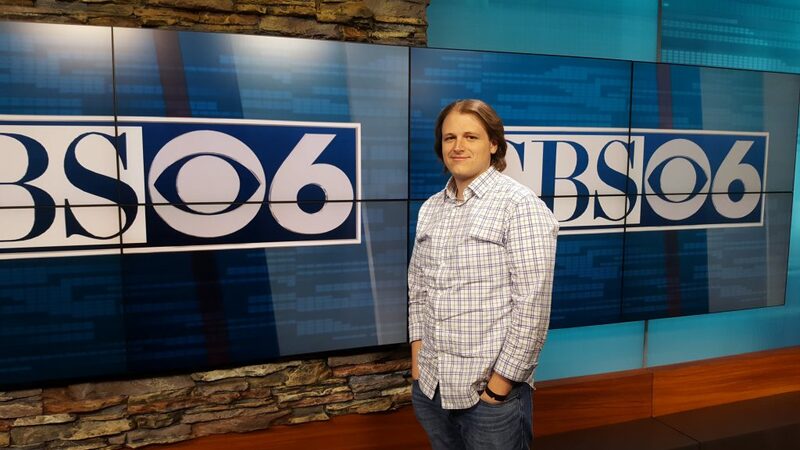 Back in Schenectady that Sunday afternoon in late June 2015, Joseph Bianchino ’11 G’14, a producer at CBS affiliate WRGB CBS 6, was planning the day’s coverage – along with several reporters, photographers, camera operators, a news director and an anchor, all trying to keep up with developments and pull together a report for the 6:30 p.m. newscast. It would be a day of constant decisions and quick changes, culminating in a tip that upended everything: a critically wounded Sweat would be transported from wilderness near the Canadian border to Albany Medical Center. Bianchino immediately assigned a reporter to the hospital. And that is how he and his team won the 2015 New York Broadcasters Association Award for best locally originated newscast. The 11 p.m. broadcast June 28, 2015, also was nominated for a state Emmy. At 26, Bianchino had been on the job, his first in television, for just four months when Matt and Sweat navigated prison tunnels to escape maximum security and ignited the year’s most watched news story. Coverage meant moving reporters to spots where there might or might not be a break in the story and weighing false leads that placed the murderers in other regions. The team tracked tweets and chased down rumors, and the story sometimes seemed to drag on. Then, after 20 days, police shot and killed Matt, who was armed and fleeing. Local communities remained on high alert awaiting word on Sweat’s whereabouts. David Sweat (left) and Richard Matt, the convicts who tunneled out of Clinton Correctional Facility and led police on a manhunt for three weeks. Two days later, a Sunday, at around 3 p.m. state police shot and apprehended Sweat as he ran into thick woods near the Canadian border. There also were the more pedestrian realities of producing television news: the Travelers Golf Championship airing on CBS was running long and bumped the 6:30 p.m. newscast. On a normal Sunday, Bianchino said, the news can wait till 11 o’clock. Not that day. So WRGB aired a full 7 p.m. newscast on its sister station, WCWN CW15, then did the unthinkable: broke into “60 Minutes” on Channel 6 with a bulletin announcing Sweat’s capture. And after all of that, when Bianchino expected to be putting the finishing touches on the 11 p.m. newscast, a reporter got the tip that Sweat, shot twice in the torso, would be rushed by ambulance to Albany Medical Center. “We had to break in to ‘Big Brother,’” he recalled. A day that ended with the capture of the escaped convict could not have been scripted better for the television station. The award-winning newscast Bianchino wrote opens with flashing lights and the scream of sirens as the ambulance races to Albany Med, flanked by police cars. Onlookers take pictures with their cell phones and cheer. In seven minutes, viewers also are taken to the woods where Sweat had been caught. They hear from a farmer living yards away who heard shots and moments later saw a parade of police cars. A neighbor said he realized his family had not been safe all along. The report also includes the story’s dramatic background, the governor’s remarks and footage taken earlier capturing the tension in the area. The elements are woven together by a calm and conversational anchor who sounds like he had days to consider the harrowing events instead of reading copy written up during commercials. 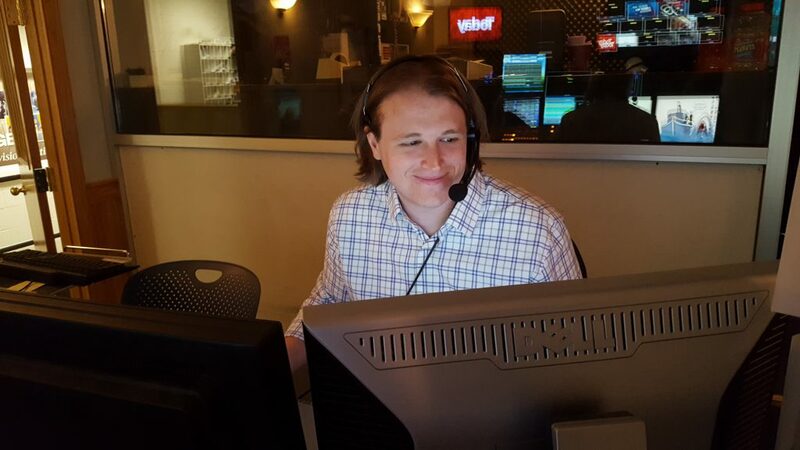 “I’m writing the newscast from the booth while my director coded it and the anchor read it,” said Bianchino, who remarked that he had no time to see what Channel 6’s competitors were reporting. A Latham native, Bianchino studied music at Saint Rose and planned to become a music teacher until getting a job at an ESPN radio affiliate. It became clear that he had found his niche in broadcasting. He earned his master’s degree at Saint Rose and said his education has made him a much stronger writer. Among other things, Bianchino takes pride in using the newscast to tell a complete story, something that was clearly evident the night David Sweat came to Albany.